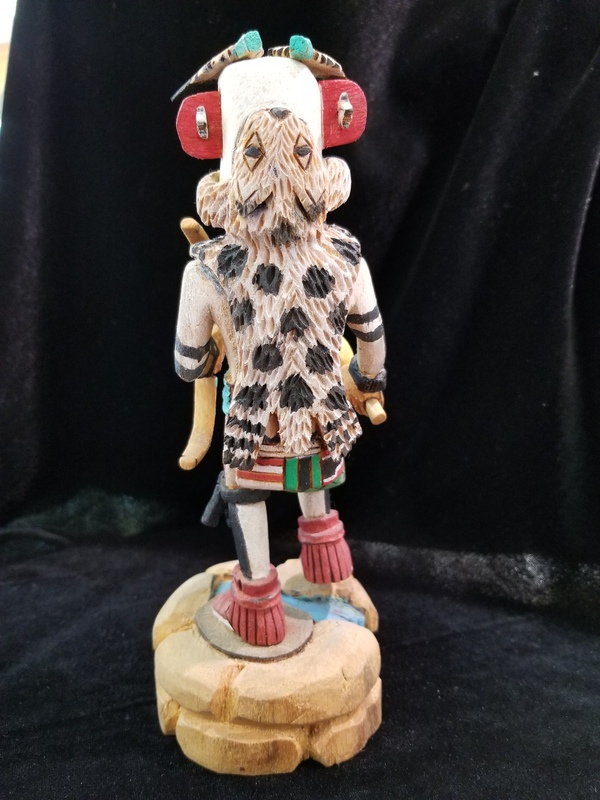 This Hopi Katsina is a WILDCAT and carved by Clinton Pooyouma. Clinton Pooyouma prefers cottonwood root for carving. The wildcat is not a common Katsina in the Hopi circle. 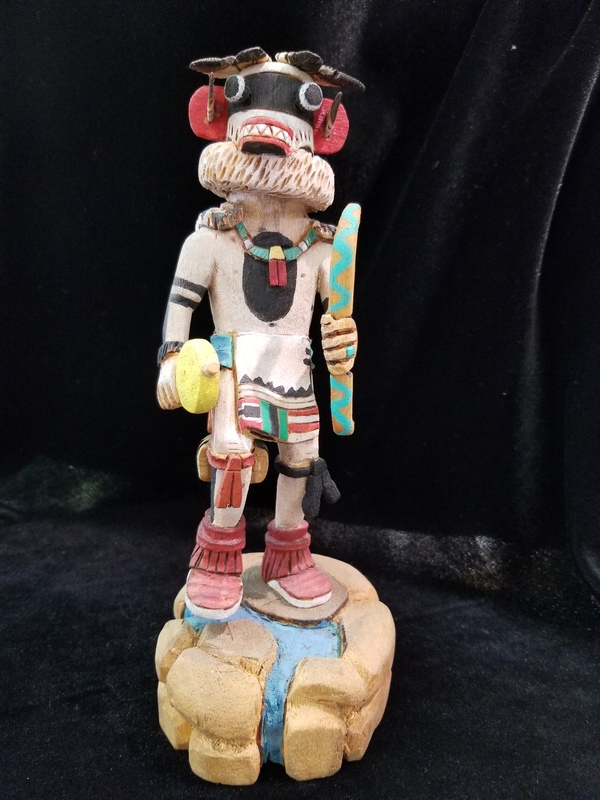 A fan of the “Wildcats” would love this guy in their home! Any cat lover indeed! We offer free complimentary gift wrapping, just ask! 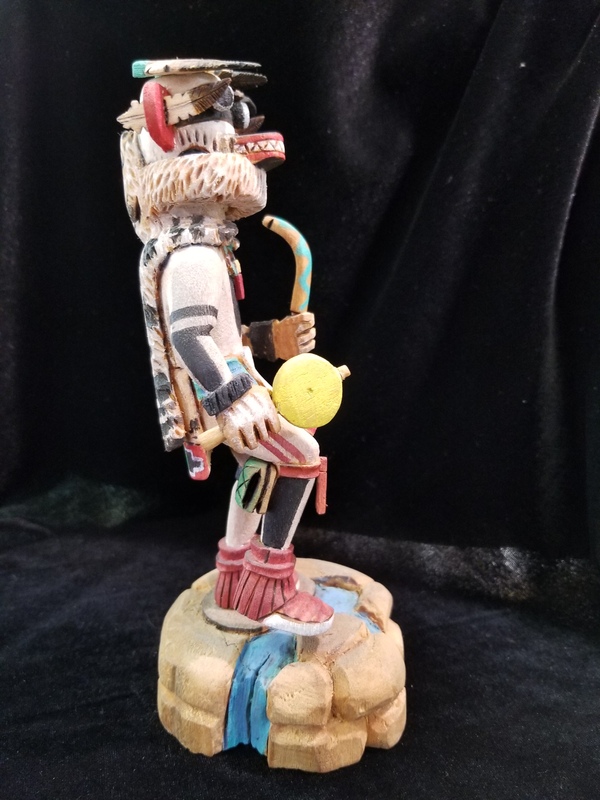 We carry more Kachina’s. Just e-mail or call for photos and prices of your preferred doll. 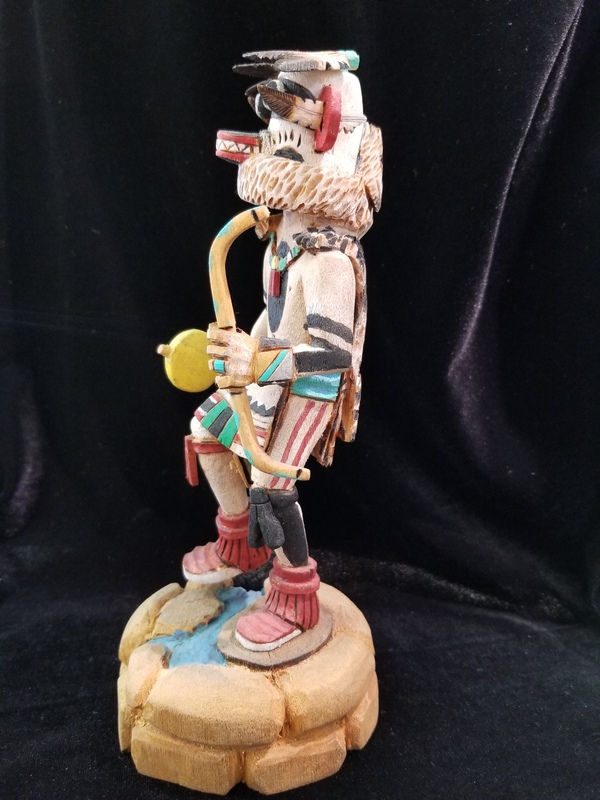 This Hopi Katsina is a WILDCAT and carved by Clinton Pooyouma. Clinton Pooyouma prefers cottonwood root for carving. The wildcat is not a common Katsina in the Hopi circle.